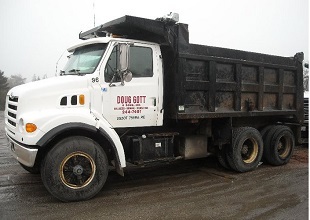 Gott's Disposal and Doug Gott & Sons Construction, Excavation and Site Work are two separately owned family businesses operating from the same location. Doug Gott & Sons was established in 1964 by Doug Gott who started this business when he was a teacher and operated after school hours with just one backhoe. His oldest son Tim now runs the company. Tom the middle child runs the grader and the youngest Peter is a foreman for the concrete crew. Throughout our history, our main goal has remained the same: to deliver quality, value and, most of all, service. 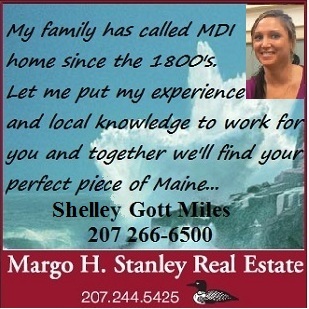 We provide services in Hancock, Penobscot and Washington County, we also service many islands. We take pride in our exemplary quality and service and extremely safe and efficient use of time and materials. 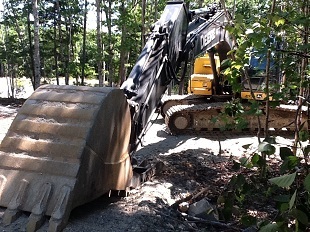 We specialize in turnkey site preparation to include clearing, grading, paving, and underground utilities. We can provide infrastructure development for a number of different applications from residential site work to roads, sewers and septic tank installations. We work diligently with engineers and general contractors to utilize the latest green methods of construction and always with care to minimize our impact on the surrounding areas. We have a variety of disposal containers available to fit your waste hauling needs for residential, commercial or construction customers. We have the experience and expertise to recommend the correct type and size container along with the correct type and level of service to provide you with the best value in waste management services. Gott's Disposal also provides trash waste disposal services to Mount Desert Island and Trenton residents and businesses. We provide roll-off containers to most of Hancock, Penobscot and Washington County. Our reputation has been earned by delivering quality foundations and concrete construction services to the residents of MDI for over 50 years. And with Doug Gott & Sons you can be assured of a experienced team, the right equipment and know how to complete your project accurately, safely, on budget, and on time. From parking lots to basement walls, we do it all! Contact us today for a site review or estimate of your project.